Product Claims: Blue Heaven gives you this blackest black eye liner that offers your eyes definition and instantly opens them up. The unique formula resists fading off and stays put on the skin for the better part of 24 hours. That means no inconvenient touch-ups. The extra black and velvety color you get from this Soft Kajal gives your eyes an intense and dramatic look that is sure bring the focus to your pretty eyes. Accidentally touching your eyes won't affect the precise line that you draw as the special formula doesn't smudge or rub off. Rain, perspiration or that splash of water - nothing can affect your glam look as the Blue Heaven Eye Liner is completely waterproof. Skin-friendly and Chemical-free ingredients Containing organic herbal ingredients, this kajal is gentle on your skin and doesn't cause any adverse effects as it is free from harmful chemicals. 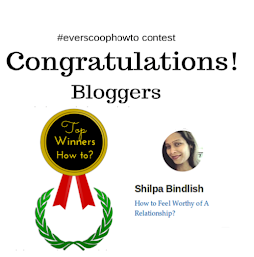 Available at Amazon, ebay, flipkart, homeshop18 etc. Starting from the inner corner of the eye, mark a neat stroke on the upper eyelid extending outwards. Repeat the same on the lower lid. 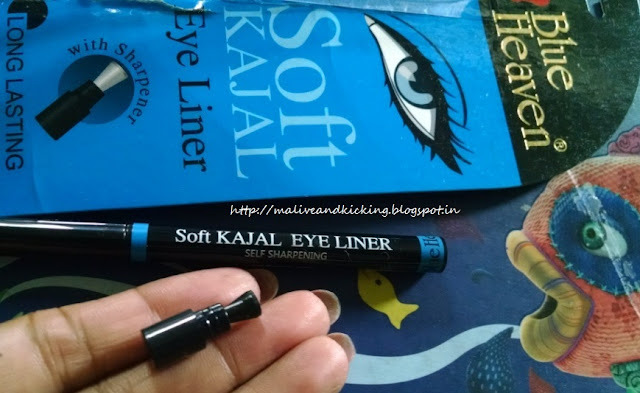 Blue Heaven Soft Kajal Eye Liner comes in a twist-up kind of packaging which is very easy to handle. 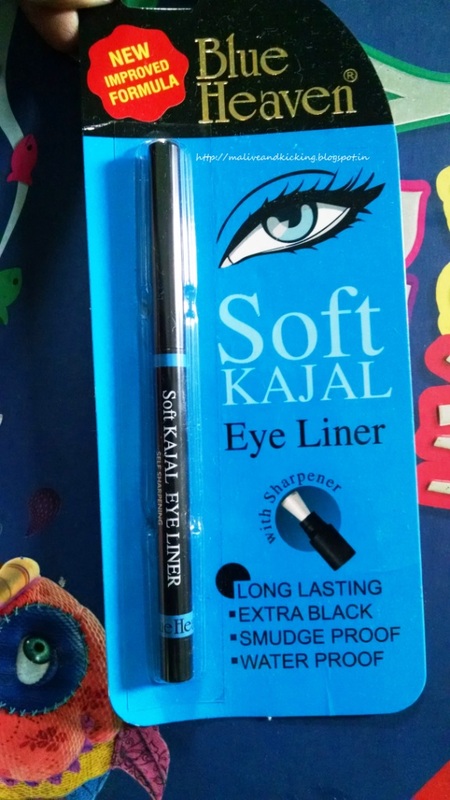 The black color pen style kajal has the brand name printed at the rear end on a blue strip. The kajal has a black cap that shuts with a click on rotation and keeps the kajal tip safely locked inside. The brand has incorporated a detachable sharpener at the rear end of the kajal pack that fits nicely and avoids getting misplaced. 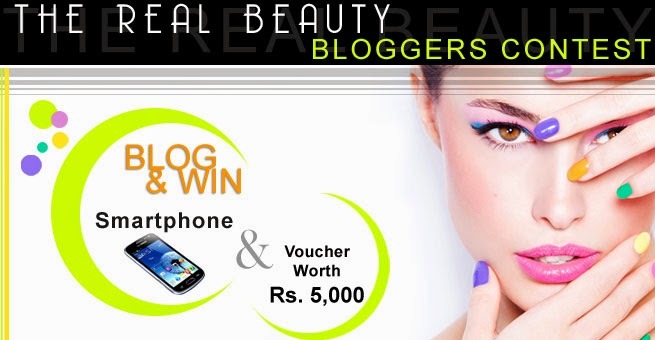 The sharpener makes sure that your kajal tip doesn't get disfigured and always retain its shape to give smooth stroke. The kajal is decently pigmented. 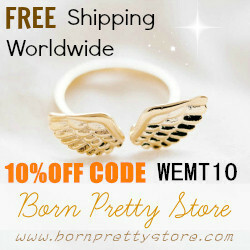 The texture is creamy but needs good handwork to draw precise line without tugging or pulling. 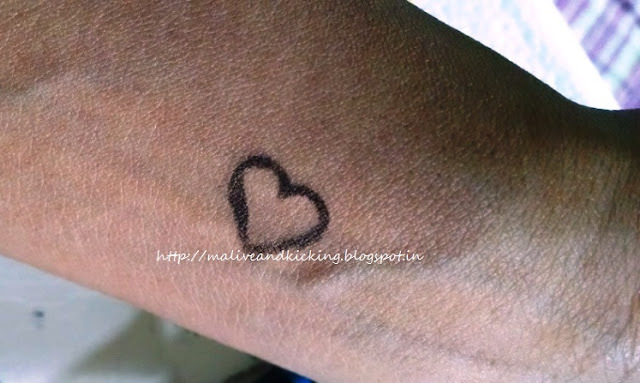 Atleast two to three strokes of the kajal give perfect black shade I want. It settles on the waterline with slight effort but then stays upto three hours if not rubbed. It is easy to remove with an eye makeup remover or cleansing milk. Though there is no ingredient details mentioned on outer carton or the kajal itself, but I felt no irritation or stingy itching in my eyes. The kajal cannot be considered as absolutely waterproof as it starts fading soon if your eyes tend to water. Not 100% waterproof or smudge free. 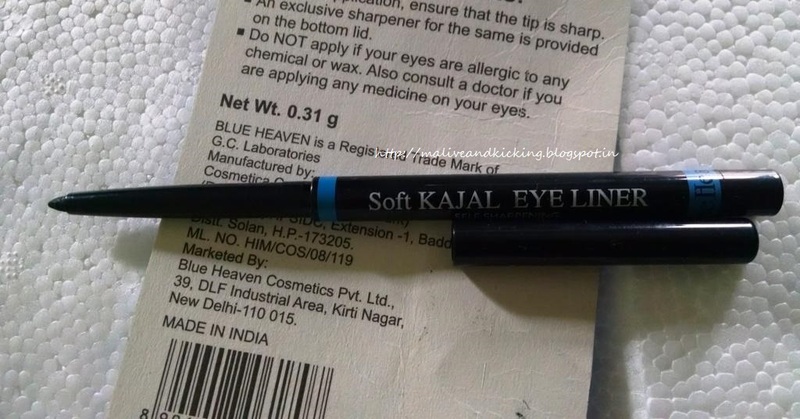 Blue Heaven Soft Kajal Eye Liner is bit low performance kajal than other brands, but if you are looking for a kajal with lower price tag and want to create mystic look by merging this kajal with other products, its a deal to not to be missed. the sharpener actually adds up to its value n efficiency. 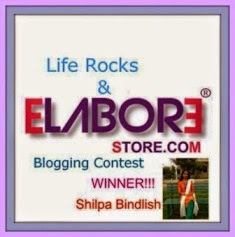 Nice review Shilpa.. I was planning to buy it.. Thanks Anjli. Its worth trying.